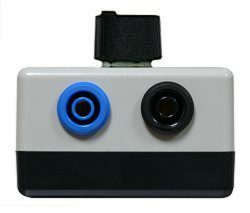 Calibrator for resistance is a useful device for any electrical service. 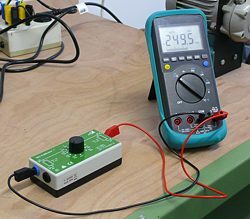 Since the resistance is adjustable, you can use this calibrator for resistance to check milliohms meters, multimeters, and even insulation resistance meters easily and quickly in terms of performance and accuracy. A rugged plastic housing protects the calibrator for resistance from being damaged. Due to the gold-plated 4 mm laboratory connectors a secure verification process is guaranteed, while the rotary switch for selection of the test resistor enables easy and fast operation. For achieving high accuracy we include calibration certificate in the delivery. 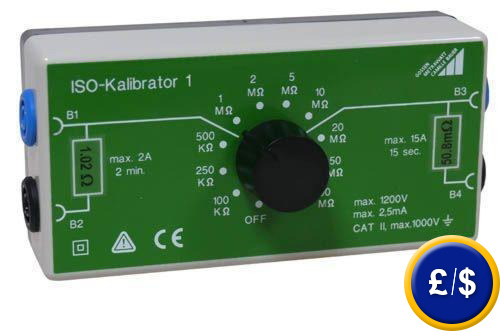 You will find an overview of other gauges and calibrators of different magnitudes here.